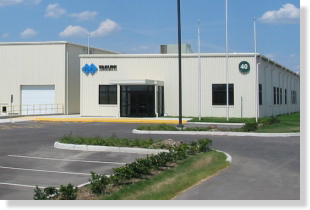 Takumi Stamping, Inc. Texas Plant. in San Antonio directly supports the production of the Toyota Tundra, Tacoma, and Sequoia with over 300 different stamped metal parts. Our mission: to support the goals and challenges of our customers while striving for quality perfection in our processes, products, and customer service. 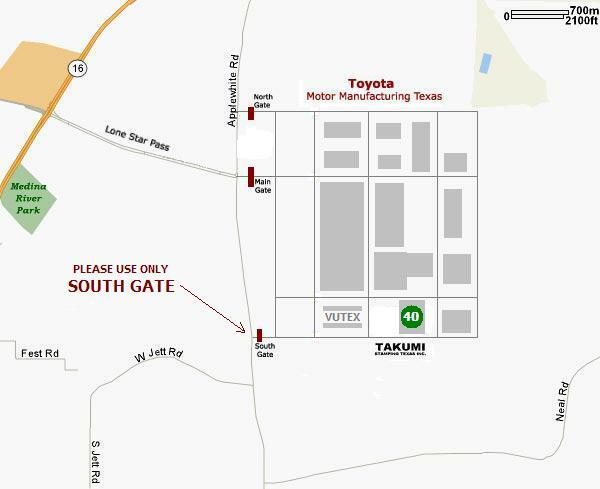 We are located on the south side of San Antonio next to the Toyota manufacturing plant. If this is your first visit, please call ahead to make arrangements so that we may authorize the security checkpoint to allow you to enter the site. Copyright © 2006-2008 Takumi Stamping, Inc. Texas Plant All Rights Reserved.